stimulus. In Fig. 6 the action potential amplitude increases as a function of the stimulus intensity. The key to understanding this apparent paradox is that we are now dealing with a nerve bundle that contains many different axons. 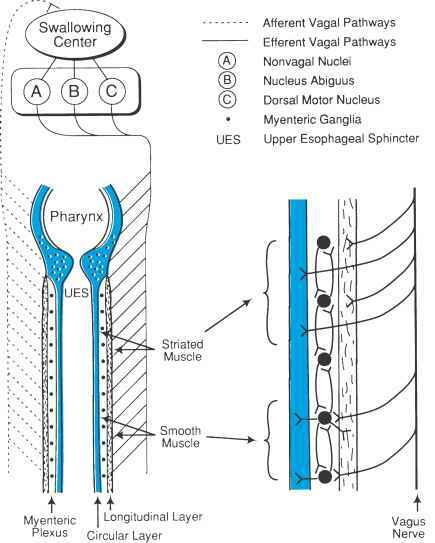 The individual axons in the nerve have different diameters and therefore different thresholds to extracellularly applied stimulating currents. As a result, when the stimulus intensity is increased, the first axon to initiate an action potential is the nerve axon that has the lowest threshold. That action potential is then sensed by the recording electrodes and displayed on the recording device. As the stimulus intensity is increased further, more axons are brought to threshold so that there are multiple action potentials propagating along the nerve bundle, and these individual action potentials will each make a contribution to the signal sensed by the recording electrodes. Eventually, a stimulus intensity is reached that brings all the axons above threshold so that further increases in the stimulus intensity initiate no additional action potentials, and the size of the extra-cellularly recorded action potential remains at its peak value. The action potential that is recorded with extracellular electrodes from a nerve bundle is known as a compound action potential (compound because it is a summation of contributions from the individual action potentials in the axons that compose the nerve bundle). FIGURE 7 Recording the compound action potential at a point distant from the stimulus site. Multiple peaks can be observed due to the contributions of fibers with different conduction velocities. and a slow runner in a race. Initially, they are both at the starting line, but over a period of time the faster runner outdistances the slower runner and reaches the finish line sooner. The stimulating electrodes are analogous to the starting line, whereas the recording electrodes are analogous to the finish line.